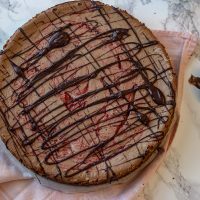 A keto cheesecake with decadent dark chocolate and bright notes of raspberry rests on a chocolate cookie crust. 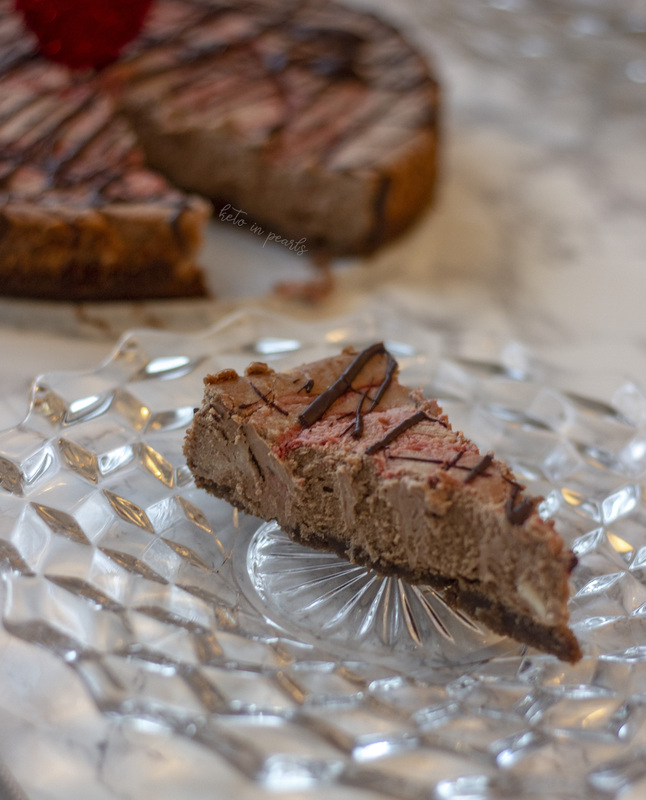 If you’re a keto chocoholic, you will love this Dark Chocolate Raspberry Keto Cheesecake. 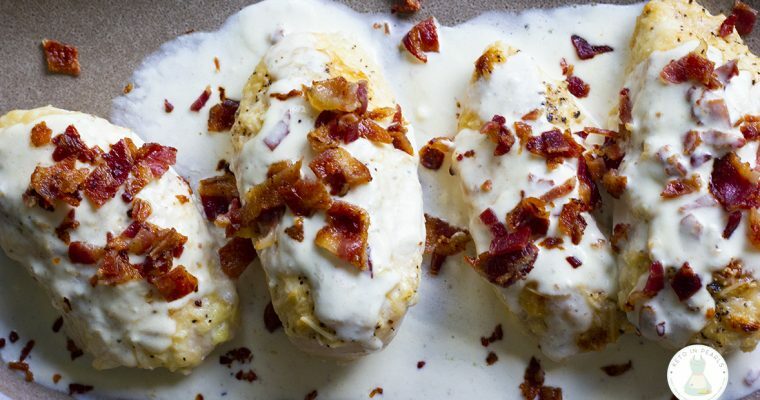 When is the last time you dined at a Cheesecake Factory? Their menu is so saturated with meals, it overwhelms me. And that’s before you even get to the cheesecake menu! My all-time favorite cheesecake from there was the Dark Chocolate Raspberry. Not to be mistaken with the white chocolate raspberry. What’s the point of white chocolate, anyway? It doesn’t even taste like chocolate but that’s a post for another day. I didn’t even need to look at the menu because I knew, every visit, exactly what I was going to order. Until one day, I didn’t. You see, one time, I arrived at the Cheesecake Factory and my beloved cheesecake was no longer on the menu. I wept silently when the waitress broke the news to me. I didn’t frequent their establishment often so my heart was crushed when I learned the news. The restaurant has never been the same since. We rarely go to the Cheesecake Factory anymore and now that we’re a keto household, we definitely don’t partake in their cheesecakes. They claim to have one that is low carb but I’m just a bit skeptical. Hidden carbs are everywhere! Besides, cheesecakes are way too easy (and cheap) to make at home and enjoy whenever you want. 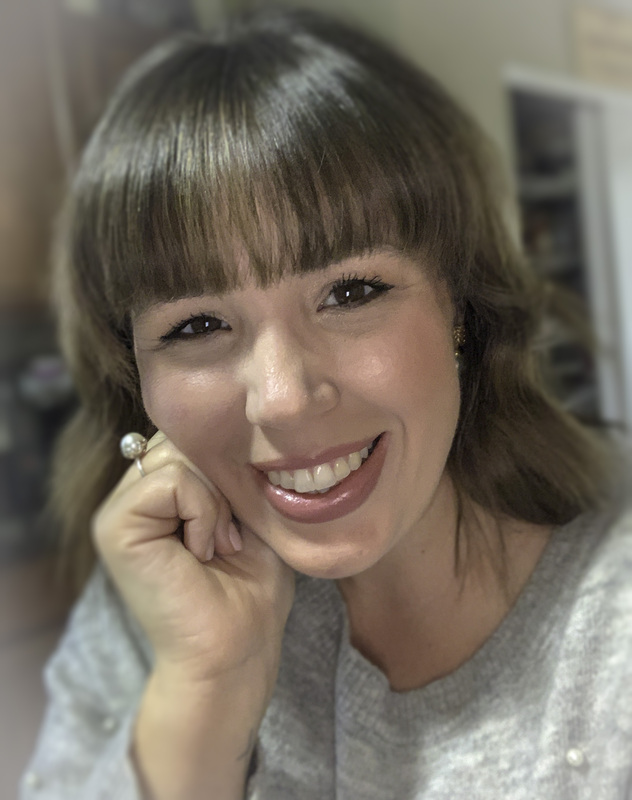 I never made cheesecakes pre-keto because they intimidated me. A springform pan? That lock just takes it to a next level I wasn’t prepared to explore. Llet me assure you, they’re probably the easiest dessert you can make at home! All you need is a bowl and mixer. Mix, dump, bake. Simple, right? 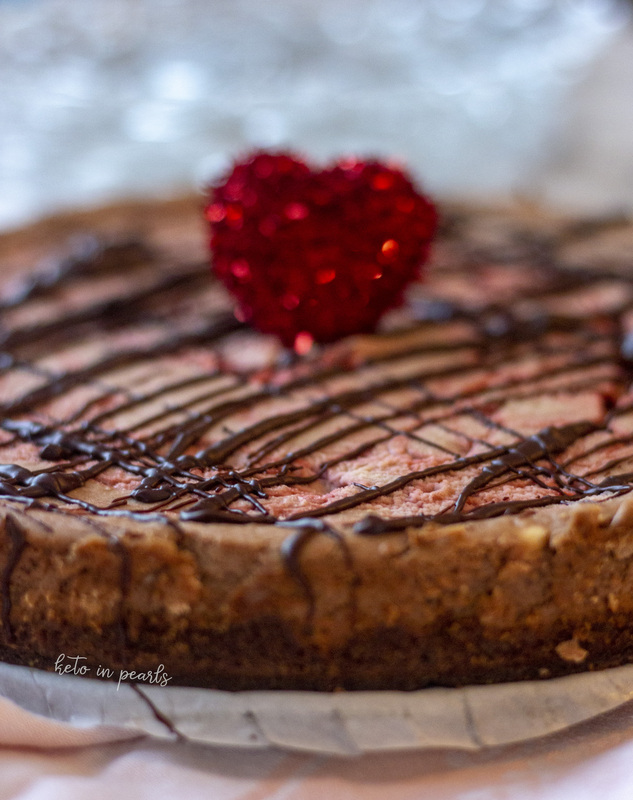 With Valentine’s Day right around the corner and my impending birthday, I decided to try my hand at recreating my Cheesecake Factory favorite. I used my mini cheesecake muffin recipe as the base and played around till it tasted just right. 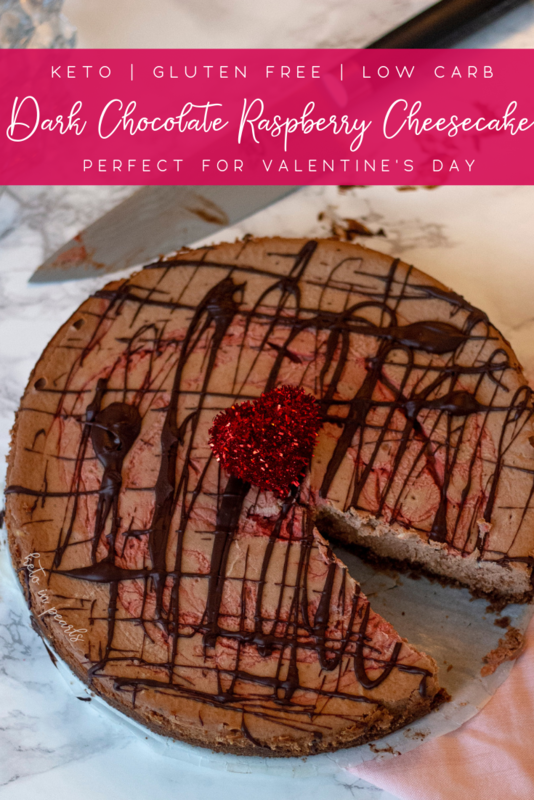 If you’re not a fan of chocolate and raspberry, you could omit the raspberry syrup and replace it with it orange extract, toffee syrup, or just have a velvety rich chocolate cheesecake! Learn how to make a restaurant worthy filet at home! Of course, if you’re worried about portion control, you may follow the directions on my mini cheesecake recipe and make muffins instead. Cheesecake freezes fabulously. In fact, I sliced this one up and individually wrapped the pieces so I can just pull one out as I desire. 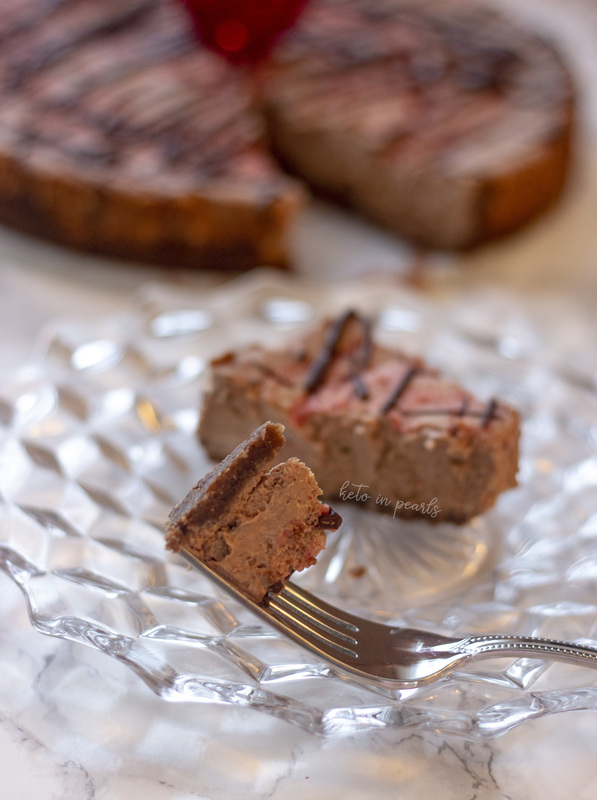 This dark chocolate raspberry keto cheesecake is rich, decadent, and lovely. 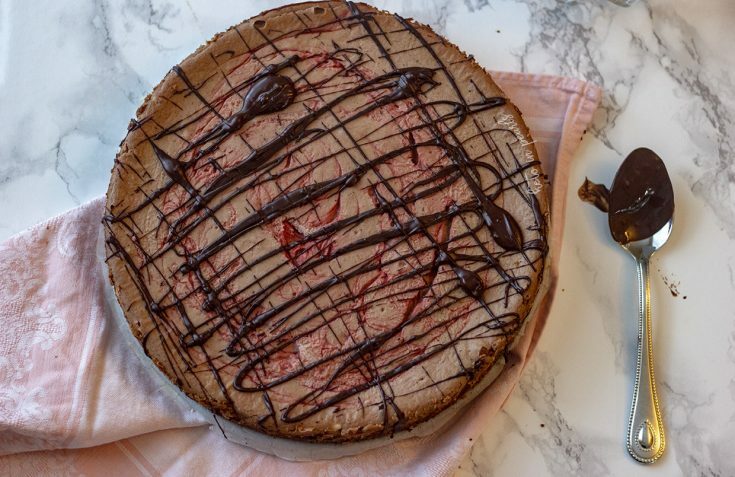 If you’re in need of a love spell this Valentine’s Day, this chocolate keto cheesecake just may or may not push him to put a ring on it. Preheat oven to 350 degrees. Grease a springform pan with cooking spray and set aside. In a small bowl, mix the crust ingredients together with a fork until a wet sand consistency is reached. Press the crust mixture into the springform pan. Make sure that it is an even layer. Poke all over with a fork to prevent bubbling. Bake for 8 minutes. Remove from oven and let cool while you make the filling. Reduce the oven to 300 degrees. In a large bowl or stand mixer, whip the cream cheese and sweetener until fluffy. Add the eggs, vanilla extract, and syrup and whip until well combined. Place the chocolate chips and butter in a small bowl. Microwave for 30 seconds. Remove and stir until the chocolate is completely melted and combined with the butter. Microwave an additional 5 to 8 seconds, if needed. Add the chocolate to the filling and whip until combined. Transfer the filling to the springform pan. 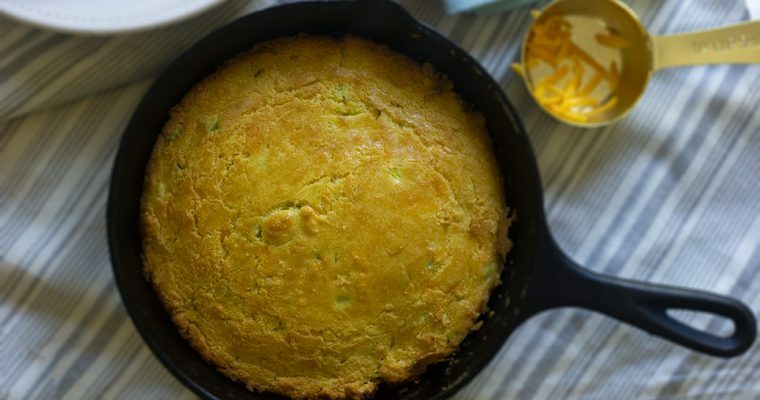 Use an offset spatula to spread in an even layer. If desired, drizzle some of the raspberry syrup on top of the filling and swirl with a toothpick for a pretty top. Bake for 40-45 minutes. The center should be slightly jiggly. Let the cheesecake cool for 30 minutes on the counter. Chill in the refrigerator for a minimum of 2.5 hours. 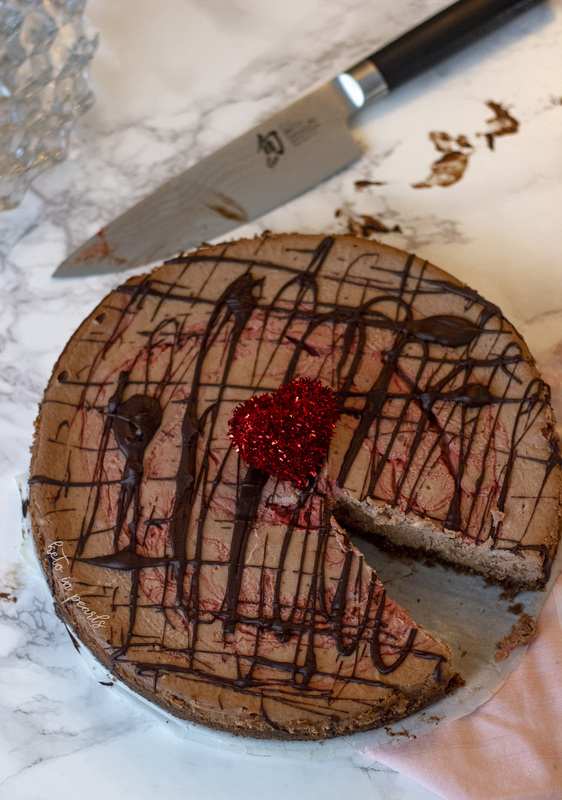 Optional- repeat step 8 and drizzle the chocolate over the top of the chilled cheesecake. It would nice if you said what size spring form pan to use…6″, 9″, 11″?????? I used a standard 10″ pan but you could easily use a 6 or 8, just adjust the baking time. Happy baking!